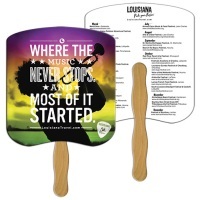 Whatever your printing needs are for Hand Fans, Heritage Advertising offers many different styles and designs of Hand Fans to fill any need. Not sure which fan will work best for your needs? Give us a call and discuss your printing needs with us and we will recommend a fan to fit your needs. We have Church Fans, Campaign Fans, Wedding Fans, Sandwich Fans. Many fans are available with beautiful stock designs printed on the front with your custom impring on the back side to make designing your fan easier. 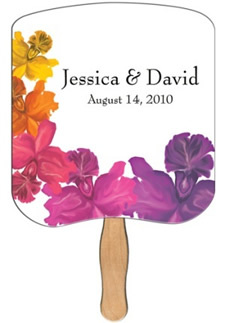 We also offer many styles of fans for a completely custom printed hand fan. Whether you need a 1-side custom imprint, 2-sides, or even a sandwich fan, we have them all! A popular fan for when you need only a few colors printed. Many different shapes available. A low cost fan allowing up to full-color imprint on either 1-side or 2-sides of the fan. 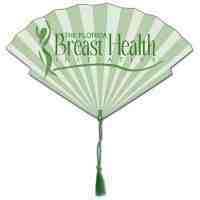 This is our best selling fan! Beautiful inspirational stock designs of our most popular Religious Fans. Large selection of designs available. 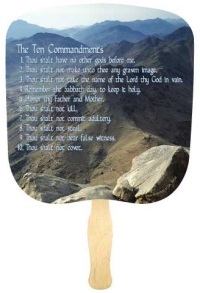 A more durable Church Fan with beautiful stock designs printed on a thicker card stock. Large selection of designs available. More Church Fan designs with wooden handles stapled, not glued. 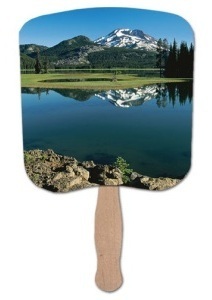 Pre-designed Hand Fans available with beautiful stock design scenes. 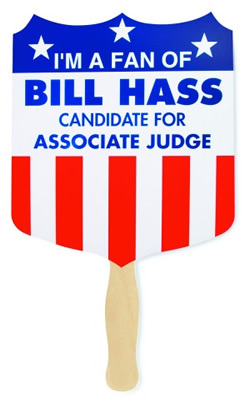 Popular campaign designs for political Hand Fans. 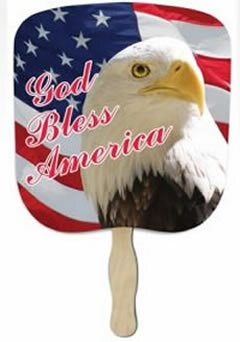 Predesigned Patriotic Hand Fans allow for your custom imprint on the back of these fans. 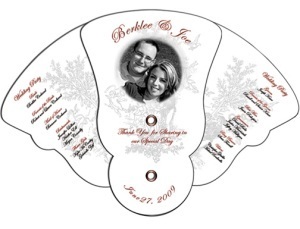 Wedding Hand Fans are a favorite to use in place of programs. 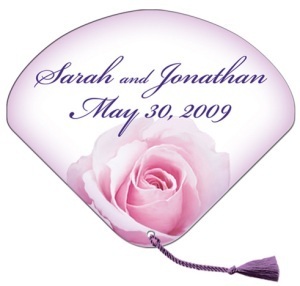 Wedding fans are available with handles, tassles or fold-out. 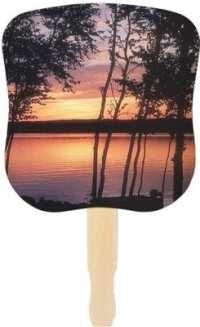 Hand Fans without sticks are available in many different shapes. Optional tassel available. Hand Fans for other types of fans we offer, including corrugated plastic fans. This wonderful accessory has spanned throughout history for both fashion and functional purposes. In history their uses were moderated within strict court etiquette and ceremonial customs. It has been said that the Chinese were the first to paint designs upon the hand fan. The hey-day of fans was during the 18th century among both men and women. Men's fans were distinguished with bugs in the decoration; maybe a mosquito or beetle painted somewhere in the scene denoted the fan belonged to a man. Queen Victoria discouraged the use of fans among men during the 19th century, which probably explains why we only think of heavily corsetted women using them.